Whether you are celebrating Valentine’s Day with a significant other or cheers-ing to Girl’s Night, a cocktail should definitely be in the mix! Try something different this year by giving the classic Bloody Mary cocktail a flavor boost and twist from an unexpected ingredient – Colman’s Mustard! In a pitcher, combine the celery seed and horseradish. Muddle the mixture with the end of a wooden spoon to blend and break up the celery seeds. Pour in the tomato juice, hot sauce, Colman’s Mustard, and Worcestershire sauce. Season with salt and pepper. Stir everything together to combine. In Collins glasses, fill with ice (4 cubes) and pour 2 oz of Tito’s Vodka over top. 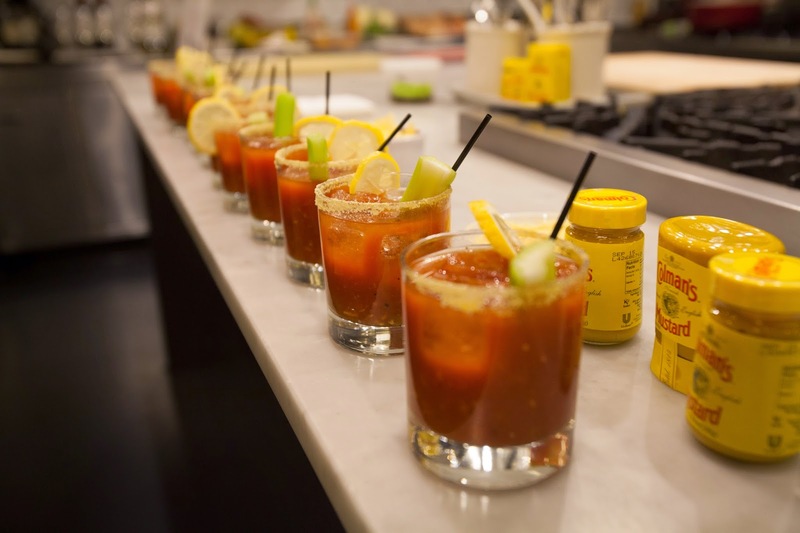 Fill the rest of the glass with the Bloody Mary mix, and garnish with pickled vegetables (i.e. asparagus, green beans, celery) and an olive and lemon slice. About Colman’s Mustard - Established in 1814, Colman’s Mustard of Norwich has been recognized widely as the iconic English mustard in the U.K using a unique and zesty blend of brown mustard and white mustard seeds. Colman’s Mustard provides a pure, fiery and complex condiment for all recipes and dishes. Visit www.colmansusa.com for more information.